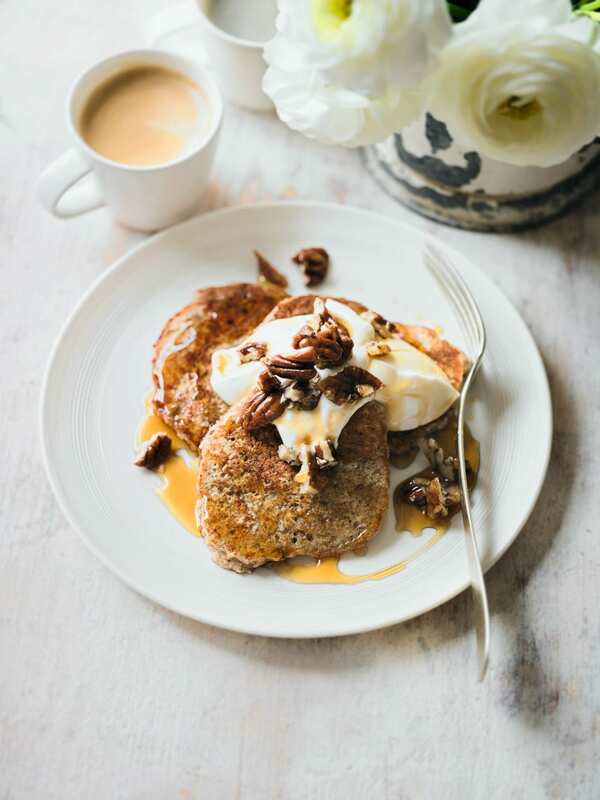 For us, these fantastic pancakes are just made that much better by caramelised pecans — an almost perfect combination of the meatiness of the nut, the sweetness of the caramel, the toastiness that the process adds. In short, yum. This recipe uses American-style pancakes: fluffy, soft to the tooth, full of body and delicious.